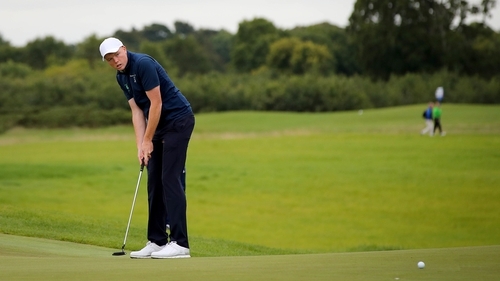 Ireland battled back after the huge setback of Friday's third round to claim a place in the top ten of the World Amateur Men's Team Championship at Carton House. A bogey-free round of 68 from John Murphy and a 69 from Robin Dawson, both on the O'Meara Course, gave Ireland a four-round 27 under par total which left them in a tie for 10th place. Over the first two days and in the final round yesterday, Ireland had kept pace with what the medal contenders were doing but the one-over effort by Ireland on Friday knocked back all hopes they had of claiming a podium position for the second World Championship in a row. Dawson, who was Ireland’s strongest player over the four days, finished with a 14 under par personal total which left him in a tie for 13th place in the individual standings. "I know I had one poor round (a 74 on Friday), but four bogeys in 72 holes is pretty good but it’s disappointing in terms of the team not getting what we wanted but that third round really killed us," he said after his closing 69. Denmark claimed the gold medal on 39 under par two shots clear of the United States with Spain claiming the bronze.